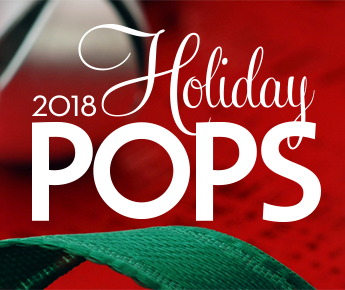 ANA Massachusetts is going to the Holiday Boston Pops! Only 2 tickets left! We have purchased a limited* number of tickets for the Thursday, Dec. 6, 2018 @ 8:00 p.m. show, first balcony. These tickets are $65.00 apiece and are now available for purchase here. ANA Massachusetts Awards honor the remarkable, but often unrecognized, work of ANA Massachusetts members. You probably work with or know nurse colleagues whose commitment to nursing and to patient care is exemplary. Yet in the rush of today's world, there is often little time to acknowledge them and their professional contributions. ANA Massachusetts has established several awards that provide you the opportunity to recognize those nurses who have made a difference at the bedside, in the classroom, and in the practice of nursing. Have questions, need help? Call ANA Massachusetts at 617-990-2856 or email info@ANAMass.org. The award recipients will be invited to the ANA Massachusetts Awards Dinner Ceremony, which will take place on Friday, March 29, 2019 at the Royal Sonesta Boston, Cambridge, MA. Every day, in ways big and small, nurses improve, advance, and invent. It could be a new idea to optimize care, a better way to keep patients safe, or a quality improvement initiative that transforms outcomes. We want to showcase your brilliant work and give you the recognition you deserve! Introducing the ANA Innovation Awards, powered by BD, a global medical technology company. The awards celebrate nurse-led innovation that improves patient safety and outcomes. So tell us...how do you drive innovation in your nursing practice? You could win $25,000 or your team could win $50,000. This award is a game-changer for the winning innovations! Find out more and apply today! *Individual award $25,000; Team award $50,000. Dec. 7, 2018 | 1:00 - 2:30 p.m.
Building on last spring's webinar, "How to Survive Bullies During Your Early Years As an RN," we are offering this new webinar that will focus on how to manage the consequences of bullying. Content will emphasize how to ensure a situation is de-escalated and how to regain your confidence. This live, free and interactive webinar is specifically designed for RNs who have been practicing for five or fewer years. This is a time when you may feel you do not have the skills, experience and power to recognize and effectively deal with bullies in the clinical area. It doesn't have to be that way. Please email anamembershipwebinars@ana.org with any questions or group attendance requests. This program is sure to fill up quickly. Click here to register*! Attendance is free to ANA members and non-members. *Register by 11/15 to receive a free registration gift, a digital article, "Selecting and Preparing Professional References." *Register no later than 12/06 at 1:00 p.m. ET to receive 24/7 access to this webinar, so that, even if you can't attend the live webinar, you can still benefit from this information at a later time. This survey provides nurses and other stakeholders the opportunity to help define current health informatics practice and shape the future of the field. AMIA members and those who participated in recent AMIA activities were sent an individualized survey link from . Whether you are just starting out in nursing, getting ready to retire, or anywhere in between, The Ultimate Career Guide for Nurses: Practical Advice for Thriving at Every Stage of Your Career offers something of value for every current and future nurse. While clinical skills are the foundation of nursing practice, you’ll need a lot of skills and knowledge beyond the clinical realm for a satisfying and fulfilling career. Author Donna Cardillo takes you step by step through career development and advancement as well as personal development. Written in her customary down-to-earth and humorous style, she gently nudges readers to maximize their career opportunities and to reach their full potential as nurses and as humans. Read more and purchase here.